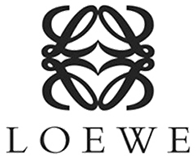 Founded in Madrid, Spain in 1846 by Enrique Loewe Roessberg, Loewe is a Spanish luxury brand owned by the LVMH Group. King Alfonso XIII of Spain granted Enrique Loewe Hinton, a descendant of the original brand founder, the title of Supplier to the Royal Court which paved way to Spanish royalty frequenting the stores with even the current Queen Mother owning several Loewe bags. In the recent decade, Loewe produced new models of their classic and iconic Flamenco and Amazona bags, and launched new bag designs such as the Puzzle bag. Why pawn your preloved Loewe with PawnHero? PawnHero accepts luxury items from Loewe. We value your item as much as you do, rest assured that you get your items back in the same condition you gave it to us. Use PawnHero as a responsible alternative for bank loans, or to simply get fast cash when you need it. PawnHero, the first online pawnshop in Southeast Asia, offers a fast and convenient way to overcome your short-term cash needs. Pawn or sell your Loewe at PawnHero for an easier way to get cash.